"Numerous ambitious Cabinet members are weighing the fallout. Up to 11 apparently were very reluctant to sign and the 'deal' may well unravel today...Follow the moves of various would-be successors - particularly Sajid Javid, Dominic Raab, Michael Gove and Penny Mordaunt." Crunch time, it seems, is finally here. After over two years of speculation - not to mention several hours during the Cabinet meeting - Theresa May released her proposed withdrawal agreement to the media last night. As the details are digested over the coming hours, the world awaits to see what happens next - regarding both Brexit or May's future. In keeping with an almost universal narrative, the signals from Betfair markets are neither clear or indicative of confidence in any particular direction. At odds of [1.79], a timely Brexit on 29/03/2019 is rated 56% likely - slightly down. Another In/Out Referendum before 2020 is trading at [3.1] (32%) - slightly up. In another fundamentally related market, odds about a 2019 Election hit new lows before settling around [2.6] (38%). However the main action concerned Theresa May's Exit Date. 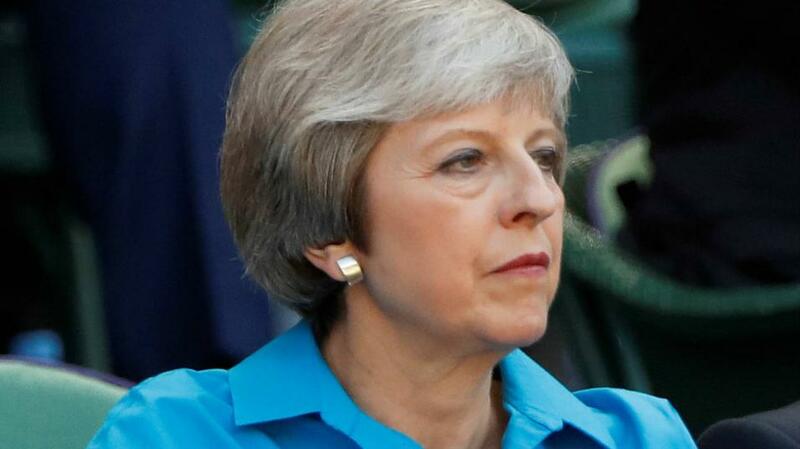 The odds about her going this year fell sharply to the current [2.9] (34%) (correct as of 07:30 on Thursday) in anticipation of rebel MPs forcing a confidence vote. I've been waiting for such a collapse since recommending Oct-Dec at [6.6] back in July, in expectation of this moment. The point when it becomes abundantly clear that May's version of Brexit would be nowhere near hard enough for her party - 'Brexit in name only'. Needless to say, Leave.EU and Boris Johnson didn't take long to respond. Indeed criticism from the Right was both widespread and immediate, with some like arch-Brexiteer Iain Dale saying he would rather Remain, as this deal was worse. It was widely reported that more letters from the 'hard Brexit' ERG would be sent to 1922 Committee chair Graham Brady - 48 would trigger a confidence vote. Of course we've heard all of this before but I do think we are in new territory. The numbers are surely there if necessary, as previous threats were basically leverage aimed at influencing policy. Now May has failed to deliver and - if losing a parliamentary vote, will be seen to have failed - the lame duck PM may have served her purpose. As ever, the counter argument against backing May to go is the lack of an alternative plan. An open leadership contest, with the top-two progressing to a ballot of members, would take months - unimaginable at this stage of the Brexit process. Rather if May is to be replaced, it will be determined relatively quickly by MPs - perhaps even by a coronation. In 2003, Tory MPs replaced Iain Duncan Smith with Michael Howard in a matter of hours. In that unlikely scenario (can any be deemed 'likely'? ), there were rumours that David Davis could take over in a 'caretaker' role. That would probably satisfy the grassroots but whether MPs would unite around the man whose tenure as Brexit Secretary is best described as 'hapless' is another matter. More likely is that numerous ambitious Cabinet members are weighing the fallout. Up to 11 apparently were very reluctant to sign and the 'deal' may well unravel today, just as Chequers did. Follow the moves of various would-be successors - particularly Sajid Javid, Dominic Raab, Michael Gove and Penny Mordaunt. Whether a confidence vote is called now or not, May's key test will be getting it through parliament. I expect it to fail, making her weaker than ever. Very few Labour MPs will back a deal that doesn't pass their 'six tests' - cleverly devised on Brexiteer promises that were always bound to fail. It does not sound like the DUP are on board. Tonight the DUP have made clear they are all but certain to vote it down, with the test being whether there are any new GB-NI checks at all. Parliamentary numbers for May looking very bad now. Opinion, of course, could shift. Financial markets are nervous and any hint of panic could shift the narrative. In the weeks ahead, the government will certainly revive 'Project Fear' although whether it will be any more successful than in 2016 is doubtful. Pitched in a three-way social media war between the Hard Brexiteers and Peoples Vote campaign, an unpopular government espousing 'pragmatism' will lose. Voters seem pretty entrenched on both sides and there appears little appetite anywhere for May's compromise deal or any other for that matter. Regarding positions and prediction going forward, I've lost confidence in a timely exit - recommended at [1.66] a couple of months ago and since cashed out for a small loss. An extension to Article 50 looks more realistic by the day. Another referendum, recommended at [3.9] before cashing out at [3.1], is gaining momentum after Jo Johnson's intervention last week. If as predicted, the government loses the parliamentary vote, I believe there is scope for a referendum to be introduced via an amendment. Such an amendment would be no certainty to pass, and many will warn of a collapse of legitimacy. If it does pass, scheduling before 2020 will be tight. MPs across the spectrum, however, may decide it is the only solution to deadlock. Nevertheless, I reckon there's good trading mileage in a bet at [3.1] about another referendum. It seems likelier than a bitterly divided Conservative government risking handing power to Jeremy Corbyn in an unnecessary election, ahead of which it would be impossible to build an agreed position. Don't take that as a confident prediction, though. Anyone who tells you they know what happens next is lying. Brexit, as ever, is a mystery. UK Politics: Will Theresa May get her Brexit plan through Parliament?